Click the done button to save the background colour for your story. The text editor gives you various style options. Note: the size of titles can't be changed. To edit an image click the edit button after the image has been uploaded to a story. 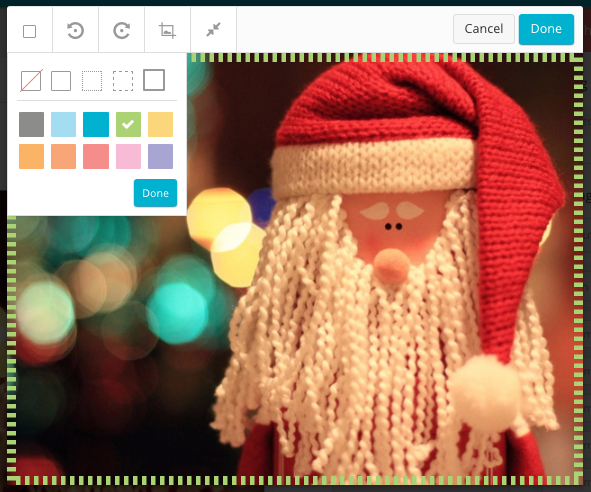 Add borders to an image by clicking the border icon and selecting the style and colour of the border you want to add to the image. You can rotate your image by clicking the arrow icons. 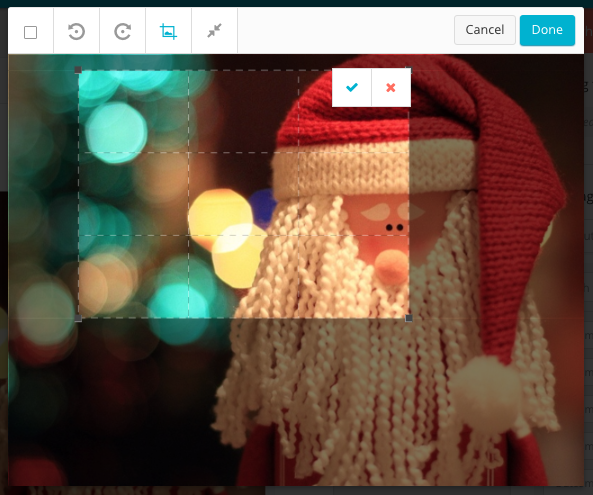 The crop button allows you to drag the cursor over the area of the image you would like to crop. Click the tick button when you are happy. Then save your changes by clicking the 'Done' button.